Are tenants complaining about a plumbing issue? Maybe the pipes are banging or drainsare clogged. Or maybe the commercial hot water heater is not keeping up with the output required. As a building owner, you know how many countless headaches can occur as small and big things go wrong, adding up to tenant or customer complaints. Beaverton Plumbing, located near Portland, OR, can repair them all! We understand how frustrating it can for you, your tenants and your customers to be inconvenienced when you need commercial repairs done. Once you decide you need an appointment, our friendly repair staff will give you an estimated arrival time. Then we’ll take a thorough look at the problem; discuss whether we shouldeither repair or replace the fixture, as appropriate; and then acquire the necessary parts and make the repair either on the spot or at another appointment if a specialty item needs to be ordered. Successful commercial repairs not only give you peace of mind your plumbing is functioning properly, but many times the right repair can help save water – and money on your water bill. When you consider that it only takes 4,000 drips to make one liter of water, according to a study by the U.S. Department of the Interior, waste can add up fast. You can be assured that when Beaverton Plumbing comes out to do a commercial repair, we will do the job right – the first time! 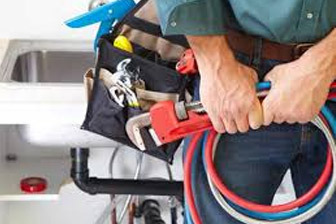 We know the pain that a building and its tenants and customers gothrough when a commercial plumbing repair is needed. Rely on us to diagnose and repair any plumbing issues today. Got a commercial plumbing issue? Make your first call to Beaverton Plumbing, located near Portland, OR. Our experienced technicians will come as soon as we can to diagnose your commercial plumbing problem. Once we arrive we’ll do a thorough assessment to determine if it will be more cost-effective to repair or replace the ailing plumbing issue. We say “more cost-effective” in reference to replacement because sometimes we recommend that a building owner replace a faulty fixturerather than repair it. That’s because there are times in our professional judgment that we know the repair won’t last adequately and you will soon be paying more money for yet another repair. We will look at the issue and based on our experience, we can help you decide if it’s a better idea to replace. Often when a fixtureis near the end of its lifespan, we know that a repair will be only temporary, but costly. Often we recommend that if a fixturecosts half as much to repair as to replace, than replacing it might be more cost-effective in the long run. If we decidetogether that a replacement is the right choice, we’ll work with you to discuss the needs of your building and tenants and provide feedback on the styles or types that you might want to consider. Through our decades of commercial plumbing work, we know the right model and size for any commercial use and can give our expert opinion on what will hold up the best and what is best suited to you and your tenants’ needs, while minding your budget. 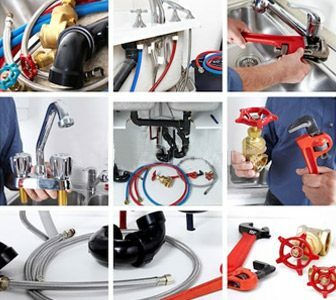 You can be certain that we’ll help guide you to the most cost-effective commercial plumbing solution to replace any appliances that are too near the end of their life span to be effectively repaired. Did you know that regular commercial maintenance is the key to keeping your buildings’fixtures running their best for a long time? It’s also the key to satisfied tenants who know you are doing your job. Beaverton Plumbing, located near Portland, OR, can help you with all your commercial maintenance plumbing issues, with the goal of saving you money by ensuring that your fixtures run as long and as efficiently as possible through regular maintenance. As a landlord, it’s imperative that your plumbing be in good working order, and also that you save money over the long term. As a commercial building owner, you have a wide variety of priorities that are necessary to keeping your building running smoothly, and worrying about maintenance should be the least of your issues. As the experts, we can identify areas where you should stay up on commercial maintenance and manage any situations before they become an issue that can harm your tenants’ satisfaction and their business – and yours. Any time you have a question about commercial maintenance, call the experts from Beaverton Plumbing, who can help you assess an appropriate schedule and take care of any needed servicespromptly and professionally. Deferring maintenance can cause bigger and more costly problems down the line. As a commercial building owner, it’s vital that all your systems run smoothly so don’t wait: Call the technicians at Beaverton Plumbing to come assess your commercial maintenance needs today.